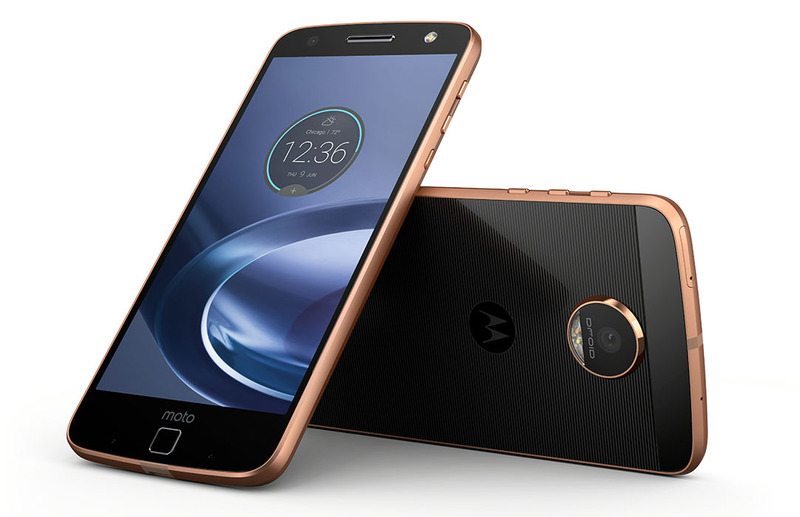 Notice anything specifically interesting with that image above of the Moto Z Force, at least in terms of its audio experience? If you recognized that it has no headphone jack, then you my friend, win a prize today. So how does that work, you might be wondering? Well, both the Moto Z and Force have USB Type-C ports, so their audio-out happens through those. Each phone is releasing with a special USB Type-C-to-3.5mm port adapter, so in order to use regular wired headphones with either device, you’ll need to have that adapter handy. Keep in mind that USB Type-C headphones are coming soon, like these from JBL. So at some point, you’ll just be able to buy headphones that will plug directly into the phone and you won’t need that adapter. This may be somewhat of a nuisance at first, but I get the feeling that with Apple on the verge of ditching the headphone jack as well, that this may be the future, or at the very least, the beginning of the end for 3.5mm ports.